Are you looking for a great business opportunity in 2019? Golden State Laundry Systems are the #1 laundromat experts in California. Through our brokerage service, we can help you secure the perfect location for your new coin laundry business. When it comes to brokerage, trust is vital. Golden State Laundry Systems, in association with Edge Realty, are experts in laundromat brokerage. We have over 60 years of commercial laundry industry experience. Why not partner with California’s #1 commercial laundry distributor from day 1? When you avail of our brokerage service to buy your laundromat, you’ll gain a partner who can help you with every aspect of your business for years to come. 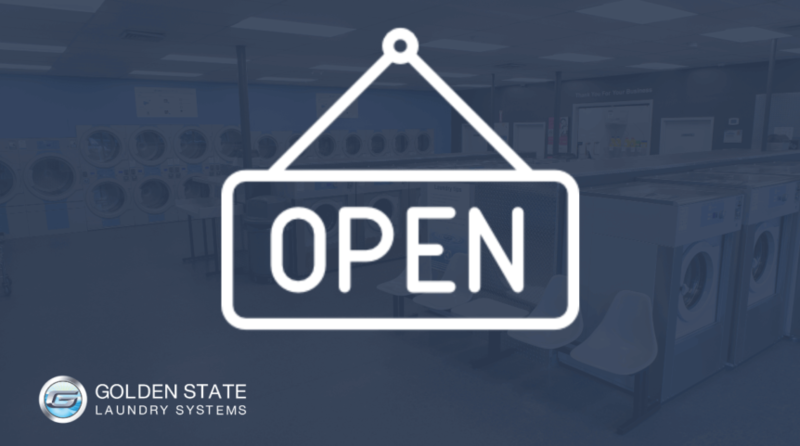 Let Us Help You Open Your First Laundromat! When you are starting a new laundromat business, you want a partner with a great reputation and a track record of helping entrepreneurs build profitable, recession-resilient businesses. Golden State Laundry Systems provides a range of laundry business services for new laundromat owners in California. Once you have availed of our brokerage service and secured your new premises, we’ll be there every step of the way. Energy-efficient laundry washers and dryers, laundromat financing, equipment maintenance — we do it all! Already a laundromat owner — why not open a second store in 2019? Golden State Laundry Systems has tools to help owners expand to a second location and beyond. With LaundryPulse and LaundryPay, running multiple stores couldn’t be easier. And with our construction services, we have the expertise to handle any laundromat building project — whether you want to retool an old store or embark on a ground-up construction project. Contact Golden State Laundry Systems! If you want to learn more about our expert laundromat solutions, get in touch with Golden State Laundry Systems. Our experts can answer all your questions and help you every step of the way.